School-based learning brings career and workplace information to the school. The initiative restructures education so students will improve their academic performance and see a purpose to their studies. Work-based learning brings interested students into businesses and professional environments. Kids have the opportunity to job shadow, intern, or apprentice in their fields of interest. Students experience the workplace environment and acquire the skills necessary for successful careers. Connecting activities include staff development and training. Employers are helping teachers find better ways to incorporate workplace technologies into their curriculum. Wake Technical Community College provides Focused Industrial Training for North Carolina’s manufacturing industries. FIT uses individualized needs assessments and consultations to design and implement targeted, customized training for organizations that need to upgrade workers’ skills because of technological or process advances. The college also offers a wide variety of courses designed to meet the needs of business and industry at little or no cost. 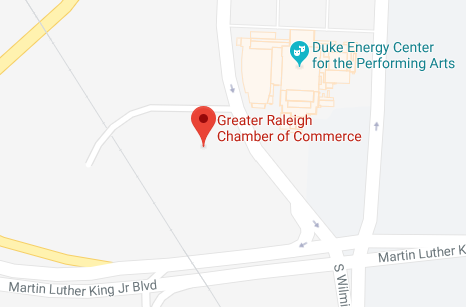 The Greater Raleigh Chamber has partnered with Internships.com to provide employers and students with a place to connect. Employers can post internships, access a student resume database, and receive expert insight—for free. Students and recent graduates can search the company database for internship opportunities at no charge. 302 Martin Luther King Blvd.